بني في , Lakefront Lodge هو ميزة مُضافة لـ تى أناو و خيار ذكي للمسافرين. يمكن من هنا للضيوف الاستمتاع بسهولة الوصول إلى كل ما تقدمه هذه المدينة النابضة بالحياة. يضفي محيط الفندق اللطيف وقربه من Te Anau Glow Worm Caves, Kowhai Gifts & Souvenirs, ‪Fiordland Water Taxi‬ سحراً خاصاً على هذا الفندق. إن الخدمات الممتازة وحسن الضيافة العالي في Lakefront Lodge تجعل إقامتك تجربة لا تنسى. يمكن الاستمتاع بمجموعة من الخدمات على أعلى المستويات في الفندق كمثل واي فاي مجاني في جميع الغرف, مرافق مخصصة لذوي الاحتياجات الخاصة, تسجيل وصول/خروج سريع, تخزين الأمتعة, واي فاي في المناطق العامة. تعكس غرف الفندق البالغ عددها 13 المنتشرة في طوابق جواً من الدفء والألفة.خدمات عصرية مثل إغلاق, سجاد, تلفزيون بشاشة مسطحة, اتصال لاسلكي بشبكة الإنترنت (مجاني), حوض الاسترخاء موجودة في بعض الغرف المختارة. يقدم الفندق خدمات رائعة كمثل حديقة لمساعدتك على الاسترخاء بعد نهار طويل من النشاط والتجوال في المدينة. مهما كانت أسبابك لزيارة تى أناو، فإن Lakefront Lodge هو الخيار الأفضل لإقامة مثيرة وممتعة. Lovely staff, clean and really close to everything you need in this little town. There's ample parking on premise. 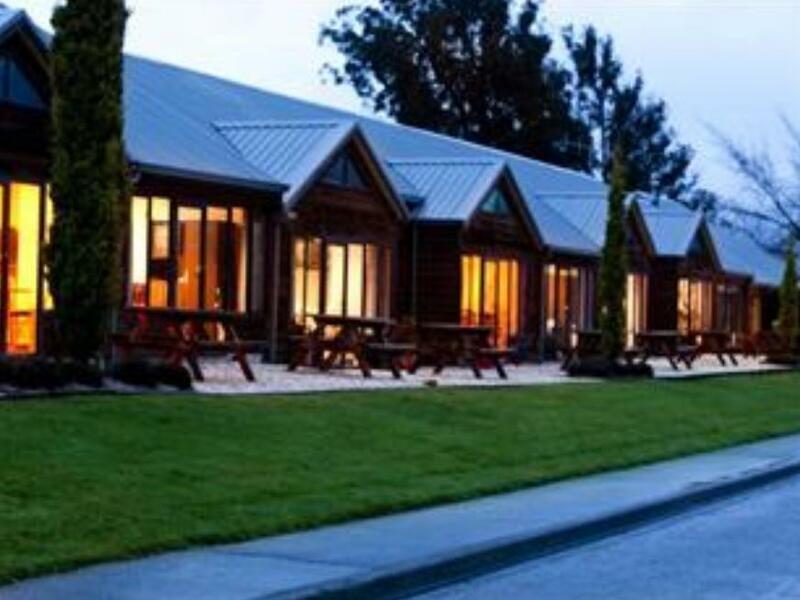 Manager is very friendly and will provide many good tips and advice on activities, also on trips to Milford Sound. Property is close to many restaurants, a short walk to Real Journey for tours. 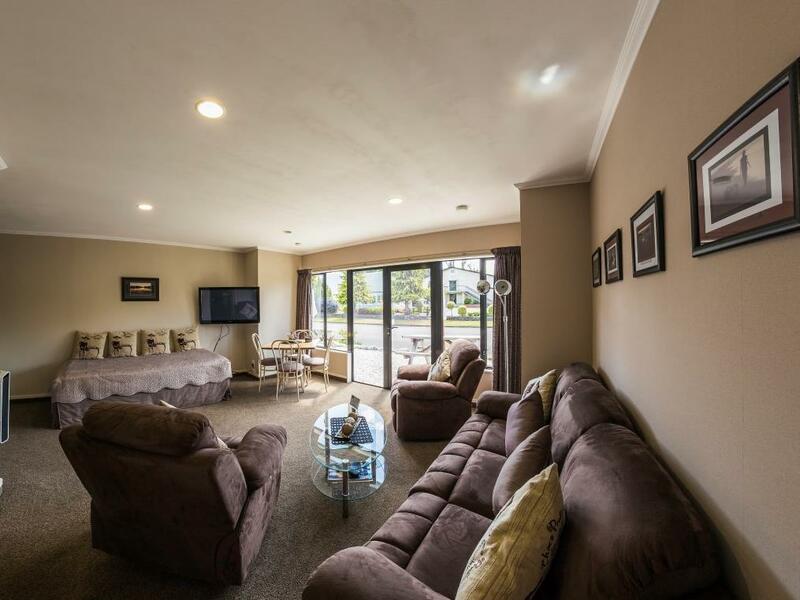 Located right next to Te Anau, you can enjoy the view at the little front yard. Room is large. Appreciate that there are heating lights in the bathroom, very useful during the winter. Well equipped kitchen. However, need to pay for self-laundry service. Great stay in a beautiful place. Our cottage was clean warm. The house were very informative and helpful. Room was nice and cosy. Location was good as it was near the glow worm cruise centre and city centre. Loved the little details-- potpourri, pillow mints, extra touches that made it a lovely place to stay. Internet was functional, location was excellent. Would return! It was a great experience eventhough we only stayed for one night. We had a pleasant suprise when we checked in, a warm welcome and a little hallowen trick or treat suprise. The room was well kept, tidy and clean. It was a big place too, the location was perfect and within walking distance to town and lake for morning walk. We really hope to stay a bit longer and have more time in Te Anau. 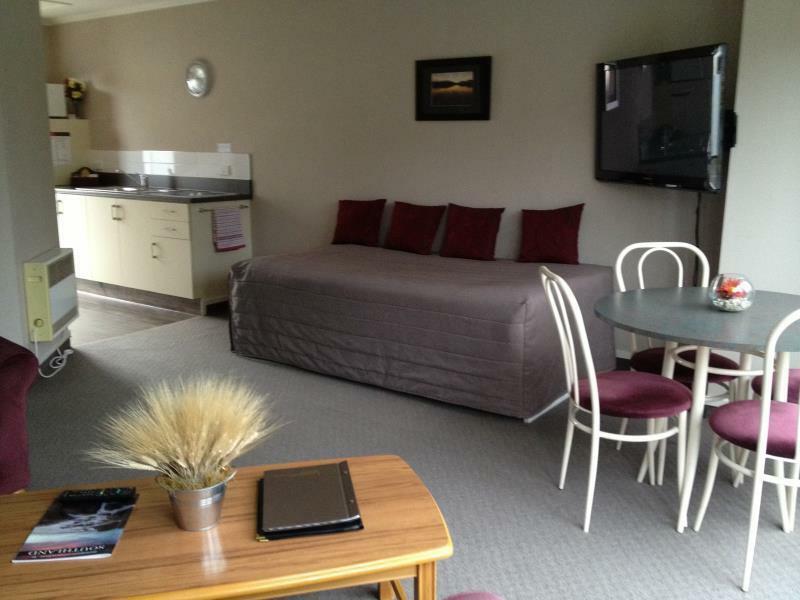 Really recommend this place to be the first choice to stay in Te Anau! 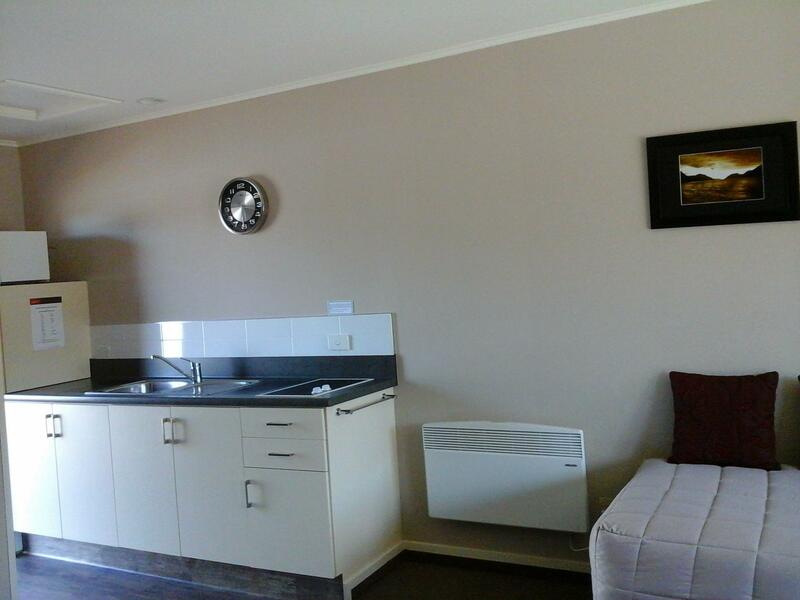 Very large rooms which are well maintained and equipped. Friendly, helpful staff. Good location by the lake within easy walking distance of the main street. Highly recommended. The staff is very helpful, lodge is very near to restaurants and shops. Walking distance to lake and very nice starry night sky. Great location and facilities. About 5 mins walk from the town centre! This place had everything we needed. 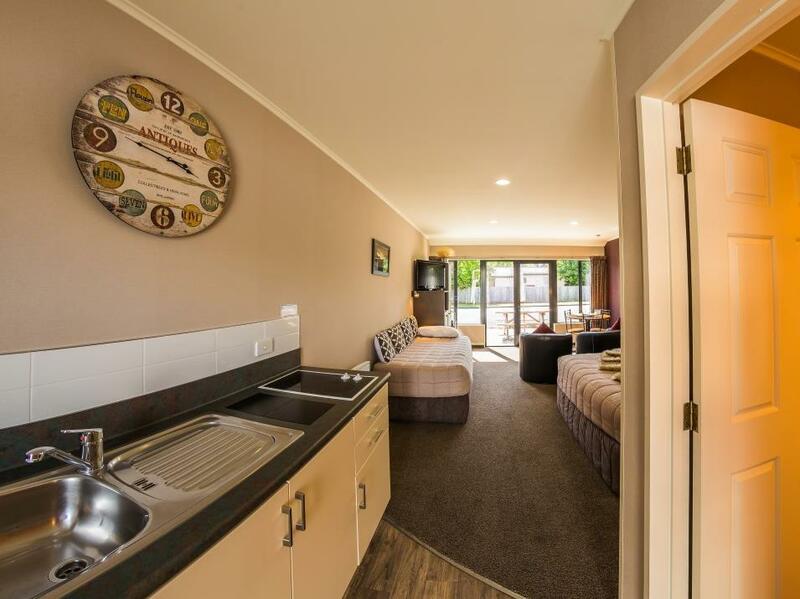 Nice bathroom, sufficiently equipped kitchen, comfortable bed, easy chairs, good free wifi. There was even milk in the fridge for our tea and coffee. Being American, we didn't realize that we needed to turn on the heaters from the wall outlet and almost froze the first night. The staff was super friendly and made our stay even more pleasant with their helpfulness. The only thing that was mildly disappointing is that most of the pictures we looked at led us to assume that the rooms opened out to a picnic table that overlooks the lake. That is not the case. The rooms look out over the road that is perpendicular to the lake. Just be aware to avoid any disappointment with the view. Perfect. Couldn't have asked for more. Room was modern and comfortable, more importantly in July it was WARM! The house is just next to the lake, 5 min walk to the center, kitchen is well equipped! Not close to the town, need walk around 10 mins. Unit over furnished, lack of hot water,manager left notes to remind clients not to take items with them when they left.